This recipe was given to me by my mother in law, Bobbe. It was given to her by her sister, Valerie – the recipe has been around for quite a few years. 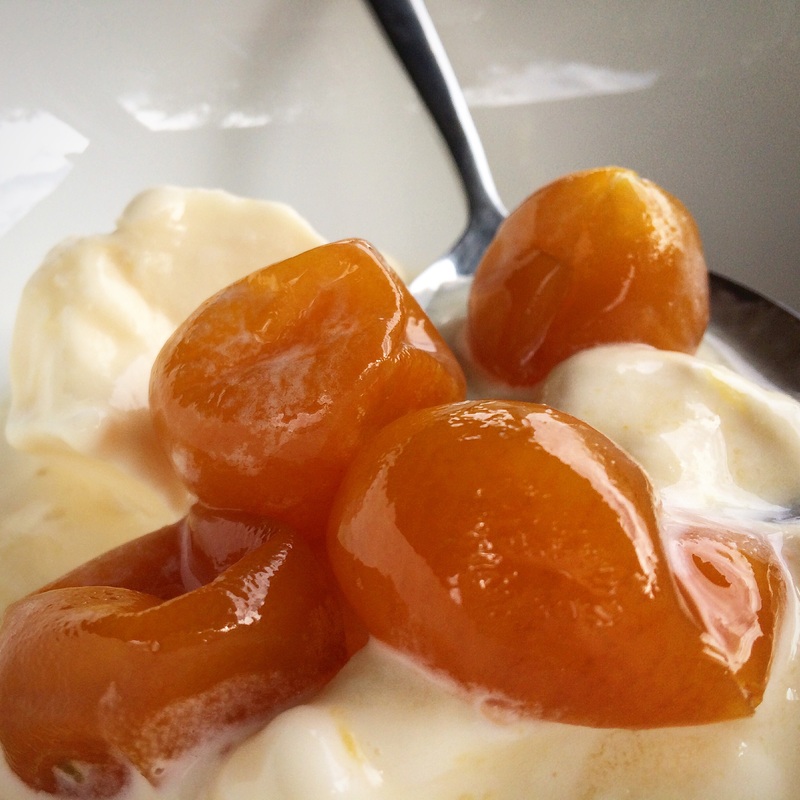 I remember the first time I tried a batch of brandied cumquats from this recipe years ago, on a vanilla ice cream, and oh, it was one very enjoyable experience! On our last visit to see my parents in law whilst my munchkins were playing in the garden, my attention was caught by a very cute looking tree. It was covered with pretty, little yellow fruit, they looked almost like Christmas decoration, very cute indeed. It was then I remembered about the brandied cumquats, and surely went straight to ask Bobbe if I could pick a few of the fruit and if she could share that yummy recipe of brandied cumquats with me :). Yes and yes, she did! So, here I am sharing it with you all. I did a couple of very small changes to the original recipe. 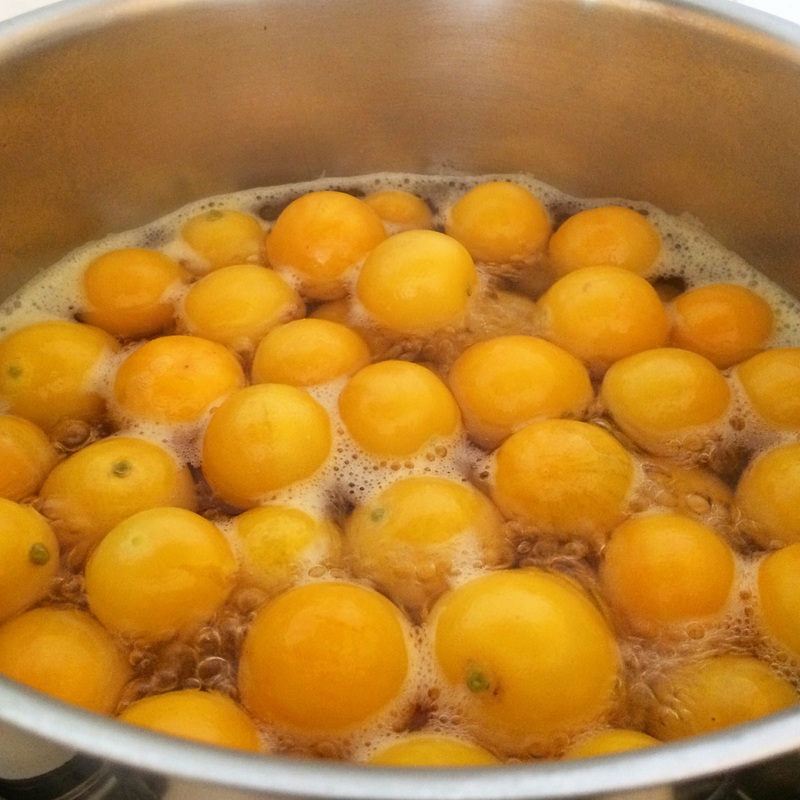 As Bobbe suggested I only boiled cumquats two times instead of three; they are very delicate and boiling them three times could possibly end up in many broken fruits. And another thing, I’ve added star anise into a spiced sugar syrup just because I like that mildly sweet licorice flavour star anise has. Place sugar and water in a saucepan. Stir over a low heat until sugar is dissolved. Remove pan from heat. 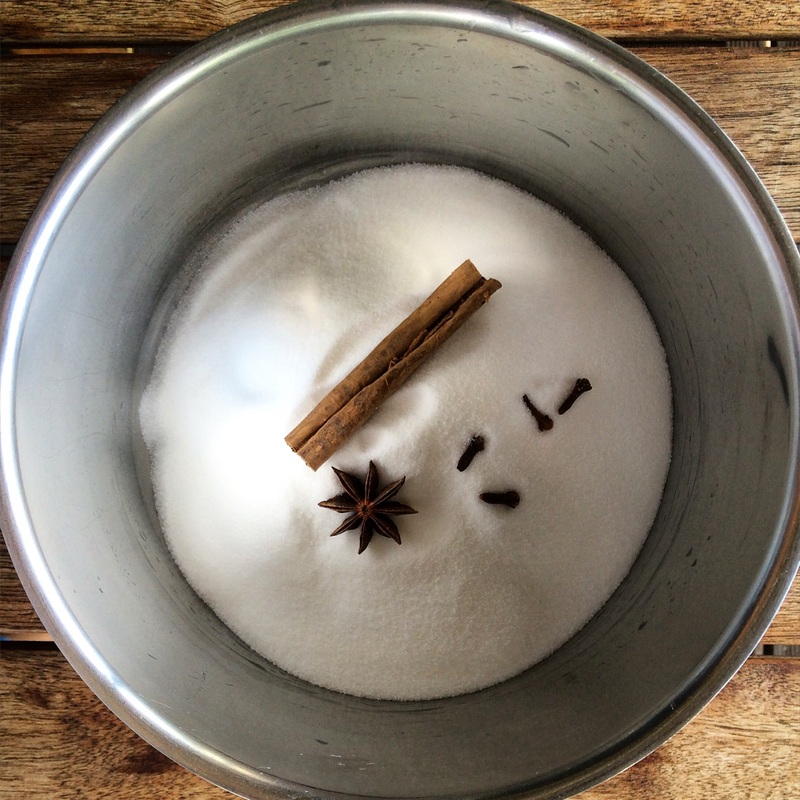 Place sugar, cinnamon stick, cloves, star anise and water into a saucepan. Stir over a low heat until sugar is dissolved. Bring to boil and simmer for 3 minutes. Remove pan from heat. 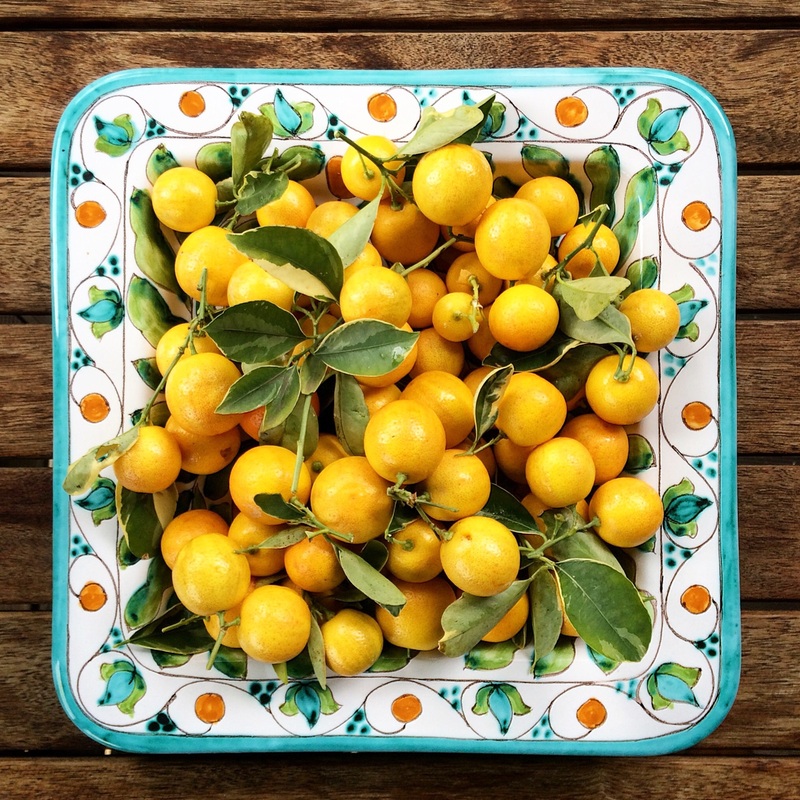 Wash kumquats well, then place into a saucepan cover with cold water. Bring to a boil and simmer uncovered over a low heat for 15 minutes, then drain. Cover with cold water once again, bring to a boil and simmer uncovered for 15 minutes, then drain. Pour prepared light sugar syrup over the cumquats. 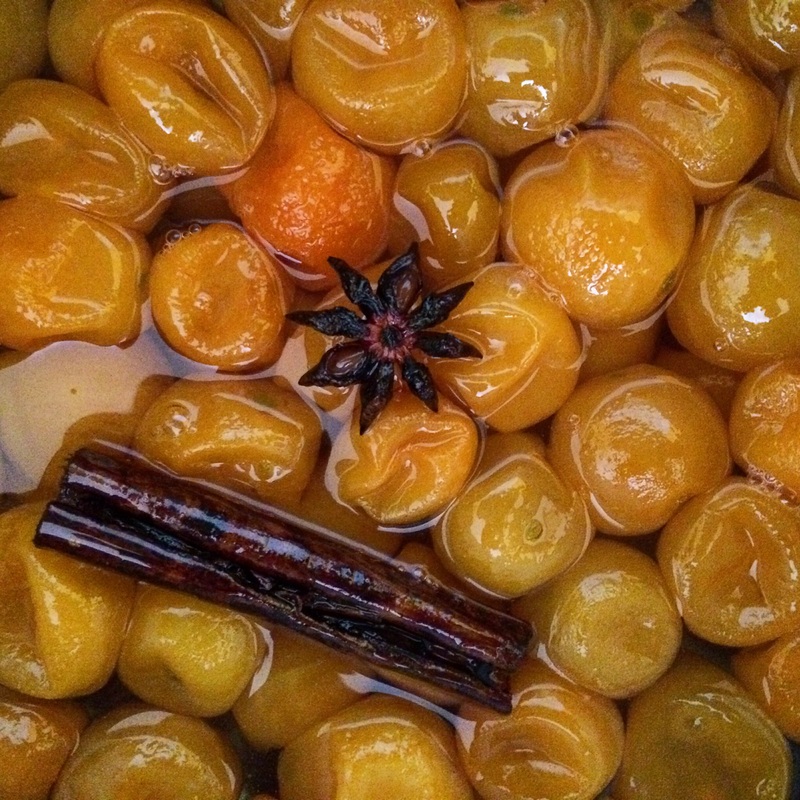 Bring to boil and simmer uncovered fro 20 minutes or till cumquats are translucent and very tender. 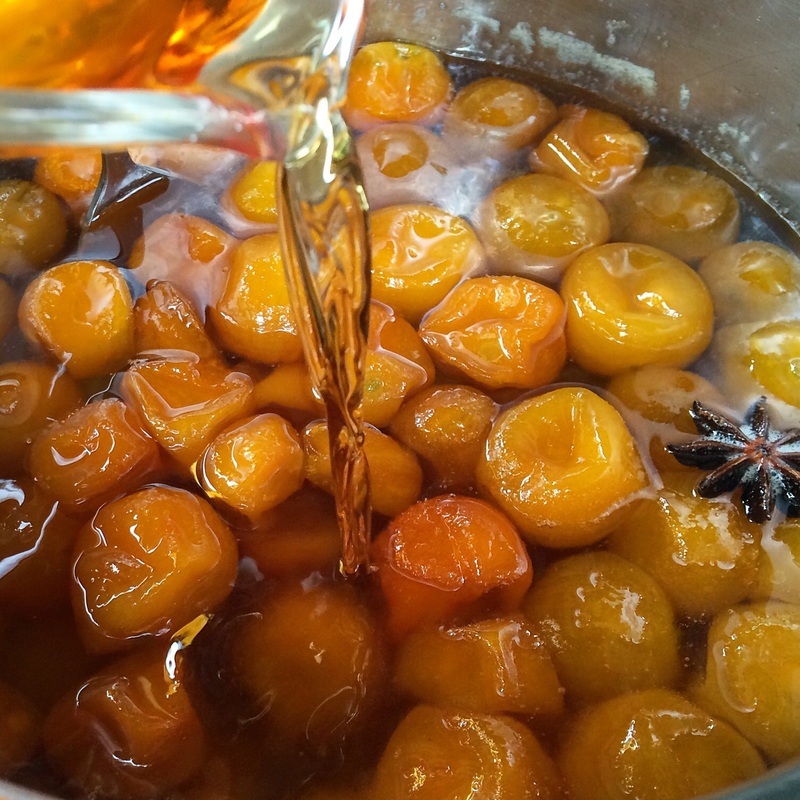 Carefully drain syrup from cumquats trying not to break them. Pour prepared spiced sugar syrup over cumquats and bring to boil. Simmer uncovered for 15 minutes. Remove from heat. Pour brandy in and stir gently. 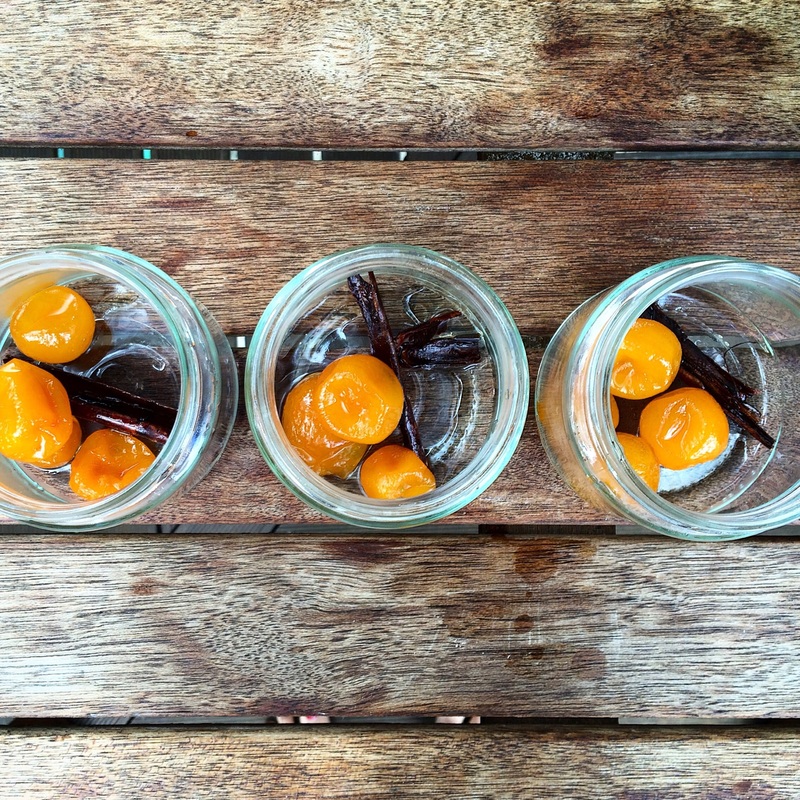 Place cumquats with enough syrup to cover them into prepared clean jars, seal and let stand for two weeks before using. And so, the two-week countdown begins! 1) I want to do a relatively light syrup while also giving it some complexity with spices like the ones you mentioned (although I’m leaning freshly grated nutmeg over star anise). Do you think the spices will be too overpowering if I do the sugar to water ratio of the light syrup? 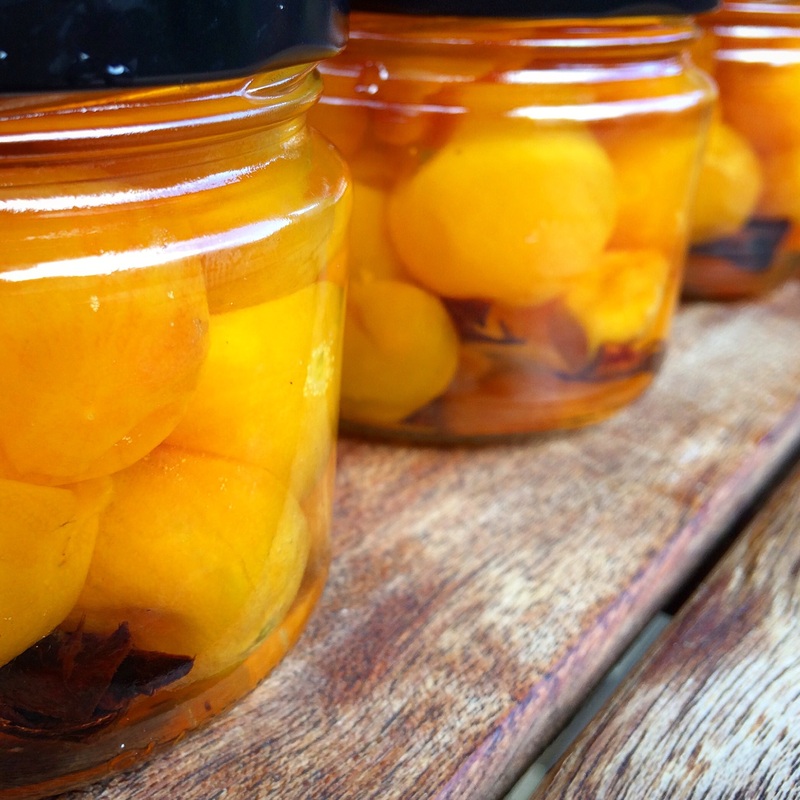 2) How many jars and of what size did your recipe produce? 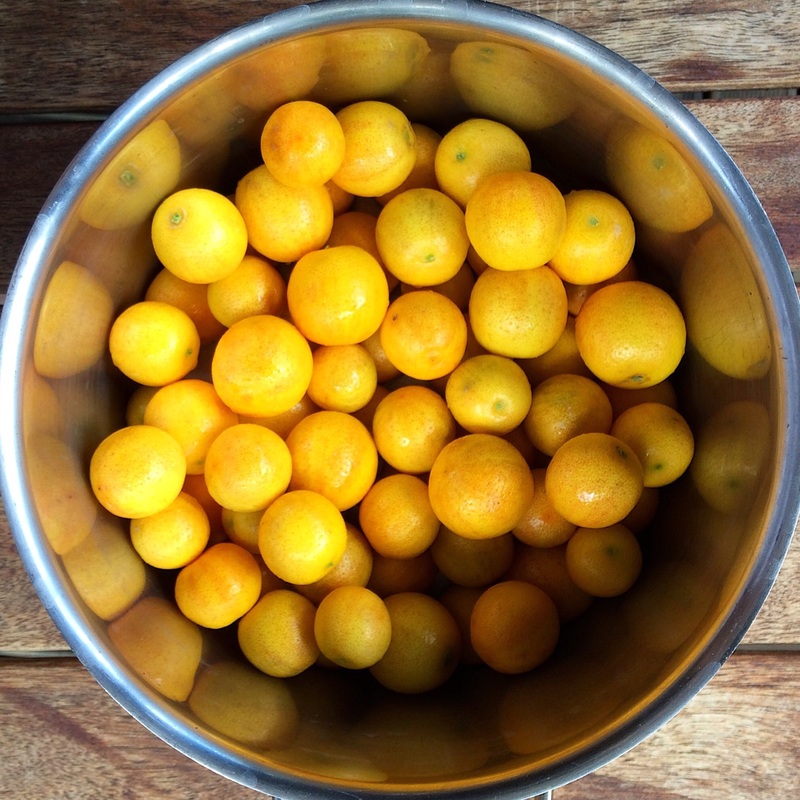 Brandied kumquats! Wow, this sounds delicious. 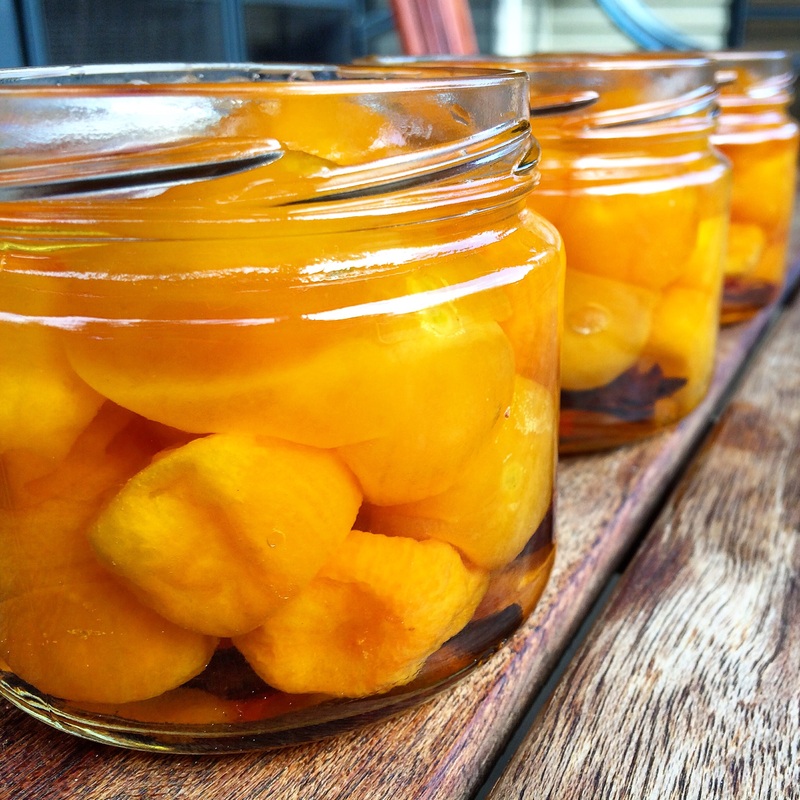 My husband and I simply adore kumquats and the thought of preserving them is wonderful.